As a researcher, theorist, and something of a contemporary continental philosophy-bent author in, my interests in new media theory, film studies, and comparative media are necessarily political, often siding with a turn towards “speculative realism,” Quentin Meillassoux’s “correlationism,” or François Laruelle’s “non-standard philosophy” at the expense of affect theory or those “poetics” that salvage media objects from the realm of the symbolic to win it for the imaginary. Interestingly, enough, Deleuze is at the root of the bifurcation between those object-oriented ontologies and speculative realists such as Levi Bryant, Steven Shaviro, and Didier Debaise who assert theories of immanence in the wake of the affective turn, which, since the early aughts, has arguably spearheaded and perhaps overemphasized what was a newfound emphasis on the body, sensation, and the spectator, articulating the “affective turn” as a demand to recognize “what has been left out of the perceived dominant tendencies in the field understood as still derived from seventies” (grand) theories, propelled by Christian Metz and Jean-Louis Baudry. (Brinkema 2014, 26). Often, I find myself in agreement with Friedrich Kittler’s 1999 statement that there “…seem to be entire branches of scholarship today that believe they have not said anything at all if they have not said the word ‘body’ a hundred times.” (2010, 148). However, it is critical that, in approaching the New Museum’s exhibition “The Art Happens Here: Net Art’s Archival Poetics,” which features sixteen works from net art history selected from (artist and educator Mark Tribe’s organization) Rhizome’s “Net Art Anthology” (a comprehensive online exhibition of net art) that I leverage my contemporary theoretical position with some historical periodization – many of the works featured in this show, excluding a few more contemporaneous caveats, blossomed from a period directly imbued or responding to with has been dubbed the “California ideology,” or the early internet utopianism that, lauding the democratic anonymity of the Web, extolled the ethos of Peter Steiner’s 1994 The New Yorker cartoon professing “On the Internet no one knows you are a dog.” (Fig. 1.) These sentiments are historically rooted, as Fred Turner’s book “From Counterculture to Cyberculture” (2006) markedly traces the how the military-industrial complex’s ARPANET (the first virtual network to implement the TCP/IP protocol suite) and cybernetics are equally endowed to a counterculture comprised of Stewart Brand’s ethos of the Whole Earth Catalog, the New Left, Buckminster Fuller’s systems theory, Ken Kesey the Merry Pranksters (a synecdochal tie to 1970s’ psycadelic culture), and the back-to-the-land commune movement. The sentiment of techno-utopianism, propelled by those “California Ideologists” and English media theorists Richard Barbrook and Andy Cameron of the University of Westminster, found its most marked proponents in Wired.com and its polemics in the “Nettime” mailing list. In tracing the historical trajectory of tactical media and net.art I hope that we can pose Entropy8Zuper!’s skinonskinonskin (1999), a website (reminiscent of “Web 2.0” aesthetics) on display at the exhibition, in dialectic opposition with the more reactive and politically situated post-net.art work, such as Morehshin Allahyari’s Marten (2015). skinonskinonskin, a series of digital love letters between Auriea Harvey and Michaël Samyn, documents a romantic exchange via Flash (in audio, text, and images) that took place in 1999 on hell.com, artist Ken Aronson’s website that had a “reputation for using the Internet in unique ways that tend(ed) to confound their viewers.” (Carey 2011, 145). Harvey and Samyn originally made these love letters (twenty-five in total) available to paid subscribers – viewers can trace the pair’s burgeoning intimacy transpire despite geographical distance; restored by Rhizome’s digital preservation team, skinonskinonskin is presented on a Windows98 emulator running Netscape Communicator 4.79 with Macromedia Flash and Macromedia Shockwave, resilient in those analog poetics of the early digital turn. Auriea Harvey and Michaël Samyn, a pair of new media artists who now collaborate on creating art video games and virtual storytelling, left net.art for videogames in the early 2000s, presciently wary of the “shopping mall” vigor they felt approaching – skinonskinonskin remains not only a relic documenting two artists’ blossoming love but, in parallel, a testament to virtual performance of sincerity online and platforms such as “hell.com” that flourished with playful innocence, unaccompanied by the angst of total surveillance and untethered to the customizable commodity-subject of a market probing the affective virtual landscape for an emotional pulse, in an internet sector that profiteers from eros (read: Tinder and company). This is not to suggest that the exhibition is framed by callow naiveté, but that (a historical relay) it posits emotional investiture and historical constitution in the wake of anarchic internet mailing lists such as Geert Lovink and Pit Schultz’ enormously influential email listserve “Nettime,” (started in 1995) which stimulated the burgeoning net.art movement and pioneered “tactical media,” and related efforts that include Rhizome (1996-present), Fibreculture (2001-present), and Blast (1995-1998), providing a virtual online salon for critical discourse on political internet-related happenings while engendering IRL (in real life) meetings and events such as HackIt (Amsterdam), the Chaos Computer Congress (Berlin), and the Ars Electronica Festival (Linz). Artists associated with “Nettime,” such as Vuk Cosic, Heath Bunting, Alexei Shulgin and Josephine Bosma (some of whose works are neatly situated in “The Net Art Happens Here”) posed “net.radio” as an early tactical media resource, perhaps the first major case of streaming media, which was used to circumvent censorship far before Napster or thePiratebay. 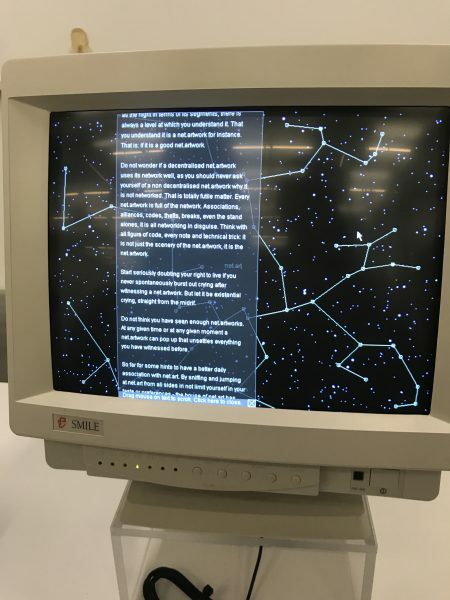 This preliminary divide also informs the archive that is Starrynight (1999), a landmark artist-made interface compiling Rhizome’s listserve archives, which Rhizome’s own Mark Tribe created in consortium with media theorist Alexander Galloway and data visualization scientist Martin Wattenberg. The work (also conveniently online at rhizome.org/starrynight) is an interface that both regards van Gogh’s 19th century masterpiece and cybernetics systems theory, as it is a text archive whereby each of the constellation’s stars corresponds to one of the amaranthine archival texts. Tribe writes that the “brightness of each star was determined by the number of times the corresponding text had been read” – constellations could not only be mapped but expanded, as the archive was an open-source network, where anyone could create a star by contributing. These impressive annals, equal part archive and artwork, mends art and theory in balanced fashion, while offering for a thorough review of net.art history and a user-compiled manifesto. Since the advent of the web in April 1993 and the “new technologies” of computing and interactivity, which were then just emerging in all areas of everyday life, the novelty of this interactive environment has largely faded – instead of the aforementioned woefully misplaced optimism of the McLuhan-crazed “California Ideology” and the technolibertarian English successors, a more appropriate adage would now posit a transfiguration from utopic cyberspace towards “data-mining sociality,” “populational surveillance,” and the “digital enclosure,” whereby the interactive embrace of networked devices that record everything that takes place upon them can be captured, stored, sorted and processed. (Andrejevic 2013, 43-45). 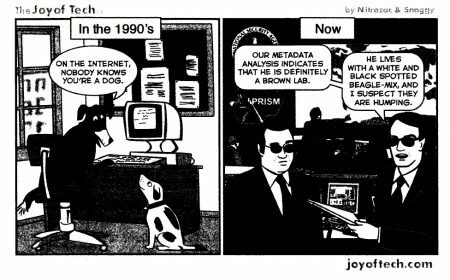 As Wendy Chun has traced in Updating to Remain the Same, the displaced anonymous and empowering space of freedom, “in which no one knew if you were a dog” has seen a shift in the mid to late 2010s, “when the Internet was commonly conceived of as a space of total surveillance or as a privatized space of social media.” (2016, xi). (Fig. 2). Two dominant schools have emerged, hereafter. One is that championed Paul Virilio, who poses that since the World War II we have been living in the state of “total war” or “pure war” between technology and humanity – subsequent sympathetic theorists and media historians have pointed to an intrinsic relationship between the invention of the atomic bomb, the computer and the rise of mass media (and television in particular). (Virilio in Lovink 2002, 309). As Luc Boltanski and Eve Chiapello trace in their network-based analysis of post-Fordist work structure and Bill Gates’ and Ben and Jerry’s “cool capitalism,” “Networks, and the role played by mediators, are nothing new. What is new is precisely the vision of society, making the network a normative model”. (2018, 1486). Like the Situationists combatting “the society of spectacle” via the dérive, Virilio posed for a “new consciousness” to combat the technologic “pure war” undergirding a new kind of consumer social transformation bolstered by circulation and stasis rather than the (old Marxist) terms state power and class struggle. In moving from a defensive strategy to an offensive, rebellion Virilio endeavored to reappropriate “not merely the products of a technological society” (as in Guy Debord’s “detournements”) but, instead, to democratize the knowledge involuntarily released by weapons of communication – by extrapolating the destructive bent inherent in modern technology to bring out its negative sides could its “riddle be unraveled.” (Lotringer 33-34, 2001). However, if utopia-as-representation is deprived of its political praxis, utopia-as technique is invigorated, and Sister Unn’s (2012), an installation by Bunny Rogers and Filip Olszewski on display at “The Art Happens Here,” validates this position. 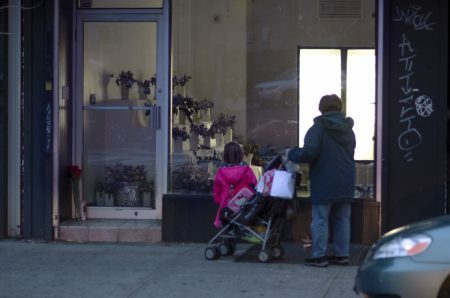 Based on a “mysterious storefront in Queens that led passersby to an equally enigmatic website, exemplifying the links between real and virtual space,” the duo behind Sister Unn’s (2012) converted an abandoned building in autumn 2011 to an enigmatic flower shop on a “well-to-do shopping street in Queens.” Never opened to the public, pedestrians peered into the window to see drying flowers living the abandoned shop’s shelves and a single rose encased in a block of ice in an illuminated freezer. The work’s title is from characters in “The Ice Palace” (1963), a classical literary work of Norwegian author Tarjei Vesaas that examines a community’s process of morning. The parallel site “www.sister-unns.com” featured a digital rose gallery, professing sublimation by way of pastiche for a pocketed tragedy that never was. The question remains, however, is this utopian technique misguided when it enters the virtual plane? We have traced the shift from post-human “identity play, community building, and gift economies to a more privatized, profit-driven model,” (Nakamura 2007, 3) where racio-visual logic, the introduction of a “free basics,” disfigured net neutrality and a stratified “pay-to-play” model have become more and more evidentiary. “The time during which the Internet could reasonably be viewed as a possible alternative space where egalitarian utopias might be constructed by plucky resistance fighters of any age or gender is long over,” (208) writes Lisa Nakamura. What is the responsibility for art, then – do we situate early net.art’s discourse as simply idealistic or is there a place for tactical utopian technique in new and networked media? In The Cybernetic Hypothesis Part IV, French collective Tiqqun professes the “conversion of human relations into an ecology of data points that can be tweaked and controlled but remains self-stabilizing,” etymologically pursuing cybernetics from the Greek kubernèsis, “to pilot or steer,” identifying cybernetics with Deleuze’s “Control Society” – ever-militant, Tiqqun claims “we want to disrupt the piloting of this ship, to take what detritus is usable and leave the rest to sink in the rising oceans,” providing a strategy: block the circuits (offline and online). Tiqqun cites the 2011 blockade of the Port of Oakland and of ports up and down the West Coast, the piqueteros workers movement in Argentina, the sabotage of French train lines, Occupy, and the indigenous-led rail blockades of Idle No More. (2015, 71-72). An inversion of Virilio’s “Total War,” Tiqqun’s position weaponizes new media objects, networks, and the flux of flow. In further opposition with Virilio’s arguably superficial position is Bernard Stiegler, who, drawing from conversations with Wolfgang Iser, has argued that the computer, with its interactive screen, could and should become a hermeneutic device. Stiegler’s “new hermeneutic epoch” (2018) posits intermediality-as-pharmakon, giving rise to a new kind of technical media (which we have seen in our own epoch via hacktivism, whistleblowing, and leaked documents). Yet there subsists a further bifurcation in the discourse regarding tactical media: one position, with its primary proponent being Geert Lovink and other “critics of the global empire,” upholds that while informatic networks are indeed important, at the end of the day sovereign powers matter more. The second school, as evinced by Galloway and Thacker’s The Exploit proposes that networked post-Fordist economies and the new millenia of internet protocols are “more of the same,” whereby the new language of Empire is IP/TCP. 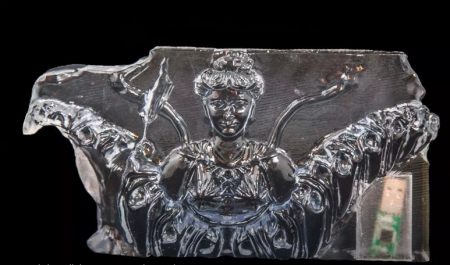 Brooklyn-based Iranian artist and 2017 research resident at Eyebeam Morehshin Allahyari’s projects on digital colonialism and 3D fabrication offer one such interesting route to navigate psychopolitics and pharmacology. Material Speculation: ISIS (2015-2016) is a project that uses 3D printing to recreate the twelve artifacts that were destroyed by ISIS in 2015’s Mosul Museum bombing(s). Each artifact also contains a USB drive or memory card that contains files of her research. At the New Museum is Marten (2015), which contains an SD card that includes an admixture of Allahyari’s research and process. Most interestingly, however, Allahyari’s Marten responds to the “digital colonialism” Nakamura has outlined, as the SD card is not to be accessed by Western audiences and art institutions. Rather, Allahyari’ has set a long-term goal of positing her pieces in an institutional archive in the Middle Eastern to facilitate a regional cultural commons in cultural and geographic propinquity to the eradication. With the possibility of enlisting Big Data to discern the masses’ patterns of behavior, digital psychopower displaces biopower (Han 2017, 127). The “internet of things,” those autonomous transmitters and digital agents that send information to one another, communicating in a silent digital lexicon, are bringing Deleuze’s society of control to completion. (128). As the New York Times disclosed in 2012, we are now in an era where data-mining allows Target to “…figure out if out if a customer is pregnant, even if she didn’t want us to know,” (Duhigg 2012) and, thus, it would appear that internet art, new media art and, by extension, art and the humanities, overall, are tasked with new responsibilities that don’t solely point inwards (towards the self/subject) but reappropriate, challenge, and weaponize. François Laruelle, in his analyses of James Turrell’s light sculptures and aquatints uses the term “photic materiality,” describing how Turrel’s light, non-cosmic and non-ontological, does not orient the viewer but, rather, performs experiments on perception, retraining it according to alternative logics. This mode of perception unilaterilizes – “light acts instead…like a drive that has its own ‘subjectivity,’ or like an a priori force.” (Laruelle 1991, 1). Here, neither artist, viewer, or critic are privileged with a position to arbitrate Turrell’s aesthetic experiment(s), but, rather the all three members are rendered strictly identical. Alexander Galloway identifies Laruelle’s aesthetic stance as a utopic stance that asserts the real in parallel with the world, whereby utopia is defined as “non-place,” immanent only to itself, a method in contrast to Jameson’s bygone “world.” (2012, 230-236). Can internet art weaponize such a world, and be immanent strictly to itself? This would posit a radical stance and one that inches towards the terrain of hacktivism, yet seems equally critical in addressing a new era with new concerns. The New Yorker cartoon. Peter Steiner/The New Yorker Collection/The Cartoon Bank. 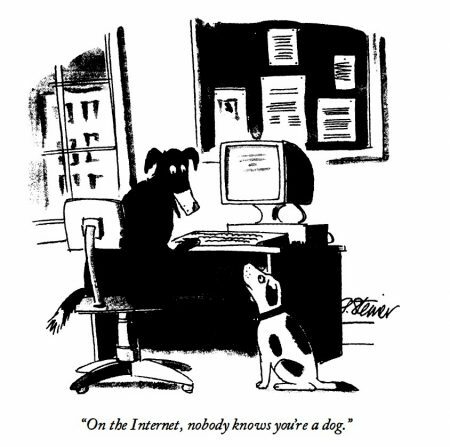 “On the Internet, nobody knows you’re a dog. ” Nitrozac & Snaggy, Joy of Tech (2013). (Chun xi). Anderson, Chris. “The End of Theory: The Data Deluge Makes the Scientific Method Obsolete.” Wired, Conde Nast, 26 Jan. 2018, www.wired.com/2008/06/pb-theory/. Andrejevic, Mark. Infoglut: How Too Much Information Is Changing the Way We Think and Know. Routledge, 2013. Benjamin, Walter, and Michael W. Jennings. “The Work of Art in the Age of Its Technological Reproducibility.” Grey Room, vol. 39, 2010, pp. 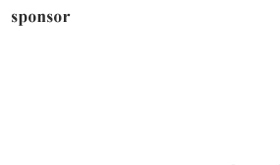 11–37., doi:10.1162/grey.2010.1.39.11. Boltanski, Luc, et al. The New Spirit of Capitalism. Verso, 2018. Brinkema, Eugenie. The Forms of the Affects. Duke University Press, 2014. Carey, Brainard. New Markets for Artists: How to Sell, Fund Projects, and Exhibit Using Social Media, DIY Pop-Ups, EBay, Kickstarter, and Much More. Allworth Press, 2011. Chun, Wendy Hui Kyong. Updating to Remain the Same: Habitual New Media. The MIT Press, 2016. Deleuze, Gilles, and Martin Joughin. Negotiations: 1972-1990. Columbia University Press, 1997. Duhigg, Charles. “How Companies Learn Your Secrets.” The New York Times, The New York Times, 16 Feb. 2012, www.nytimes.com/2012/02/19/magazine/shopping-habits.html. Galloway, Alexander R. “Laruelle and Art.” Continent., no. 2.4, 2012, pp. 230–236. Galloway, Alexander R., and Eugene Thacker. The Exploit. 2007. Han, Byung-Chul, and Erik Butler. In the Swarm: Digital Prospects. MIT Press, 2017. Jameson, Fredric. “In Soviet Arcadia.” New Left Review, vol. 75, 2012, pp. 119–127. Friedrich Kittler, Optical Media: Berlin Lectures 1999, trans. Anthony Enns (Cambridge: Polity, 2010), 148. Laruelle, François, and Robin Mackay. The Concept of Non Photography. Urbanomic, 2012. _______ “A Light Odyssey: La découverte de la lumière comme problème théorique et esthétique.” Poitiers: le Confort Moderne, 1991, trans. Alexander Galloway (2012). Lovink, Geert. Dark Fiber: Tracking Critical Internet Culture. MIT Press, 2003. Stiegler, Bernard, and Daniel Ross. The Neganthropocene. Open Humanities Press, 2018. Tiqqun. “The Cybernetic Hypothesis: Part IV.” Short Circuit: A Counterlogistics Reader, edited by Jasper Bernes, 2012, pp. 70–88. Tribe, Mark. “StarryNight.” Mark Tribe Studio, 1999, www.marktribe.net/starrynight/. Turner, Frederick C. From Counterculture to Cyberculture: How Stewart Brand and the Whole Earth Catalog Brought Us Wired Magazine. The University of Chicago Press, 2002. Virilio, Paul, and Sylvère Lotringer. “After Architecture: A Conversation.” Grey Room, vol. 3, 2001, pp. 32–53., doi:10.1162/152638101300138530.